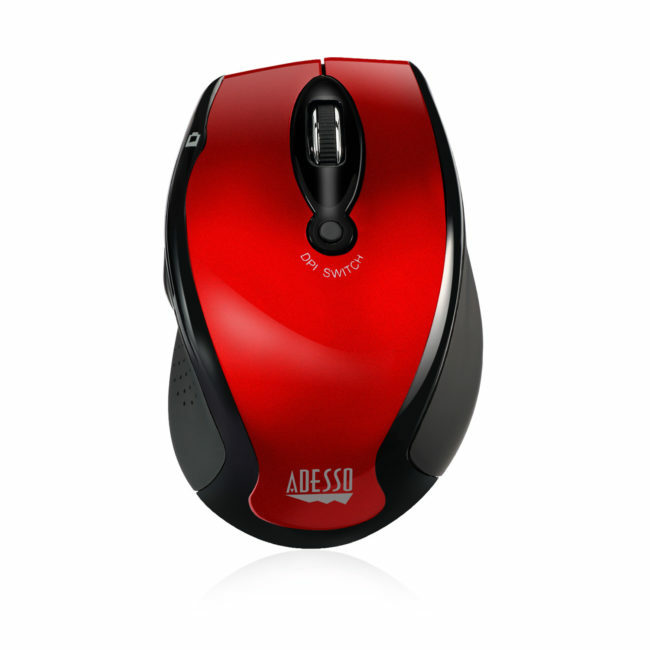 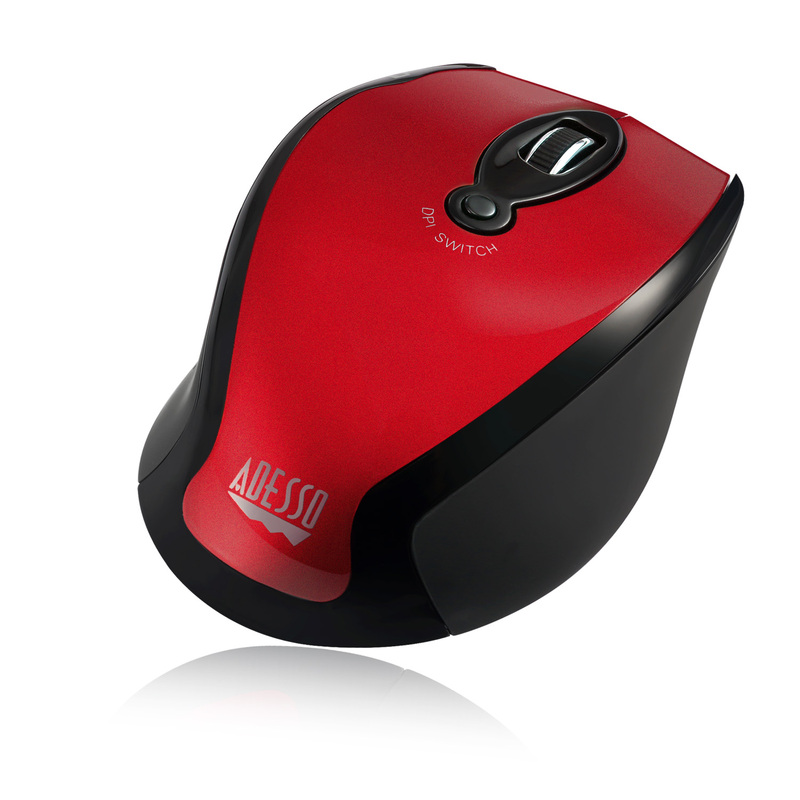 iMouse™ M20R – Experience new levels of productivity with the Adesso iMouse M20R 2.4 GHz RF Wireless Ergo Mouse. 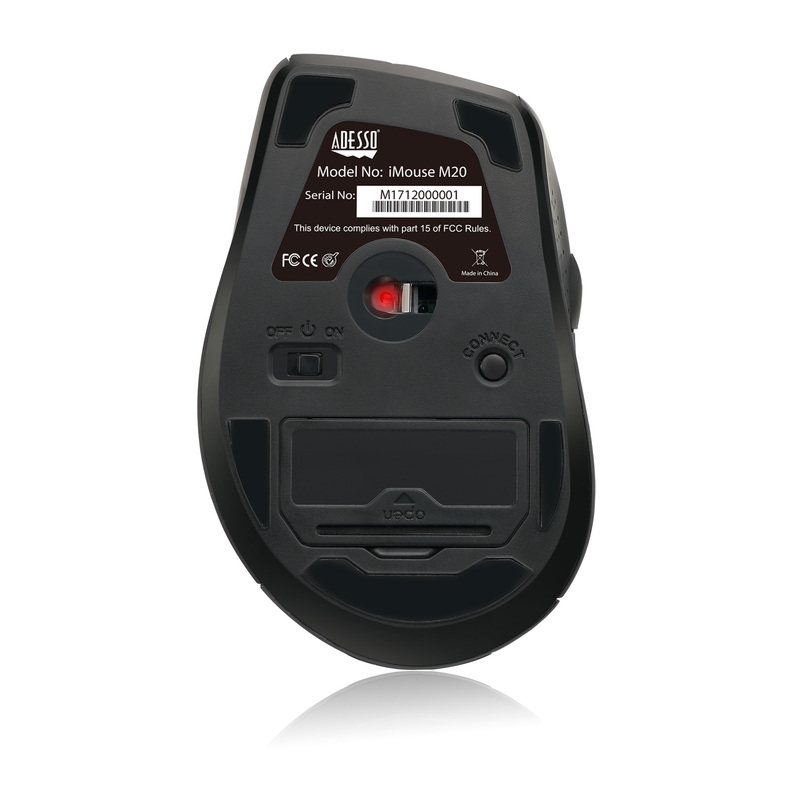 This 2.4 GHz Radio Frequency wireless mouse offers you 30 feet of wireless freedom and eliminates the constraints wired mice often cause. 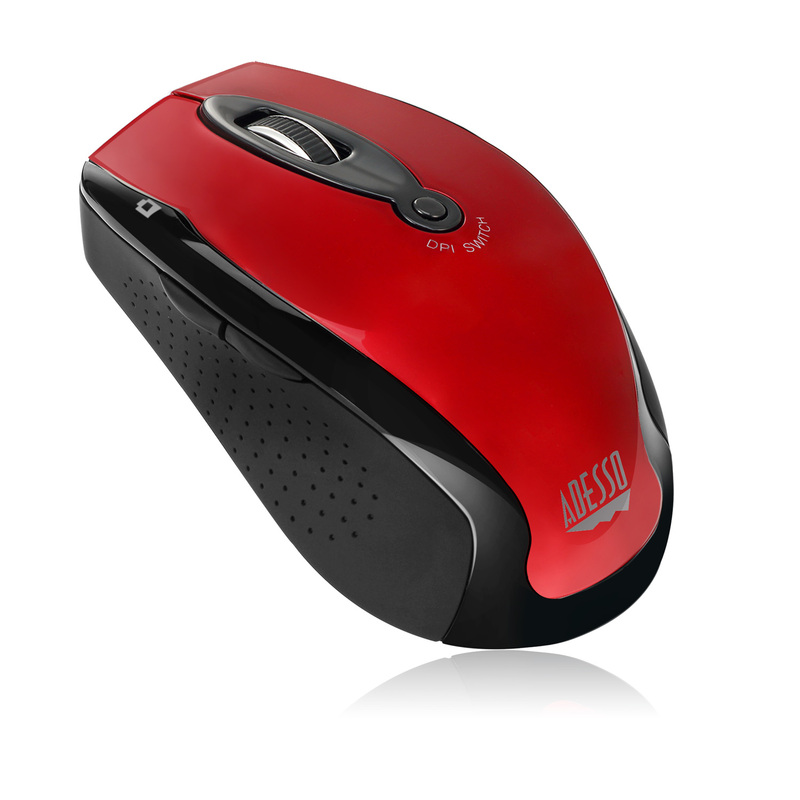 Its optical sensor tracking method lets you work on any surface with better speed and accuracy. In addition, the mouse includes three distinct levels of DPI resolution (800/ 1200/ 1600) for precise targeting (800 DPI), quick response (1200 DPI) or fast maneuvers (1600 DPI). 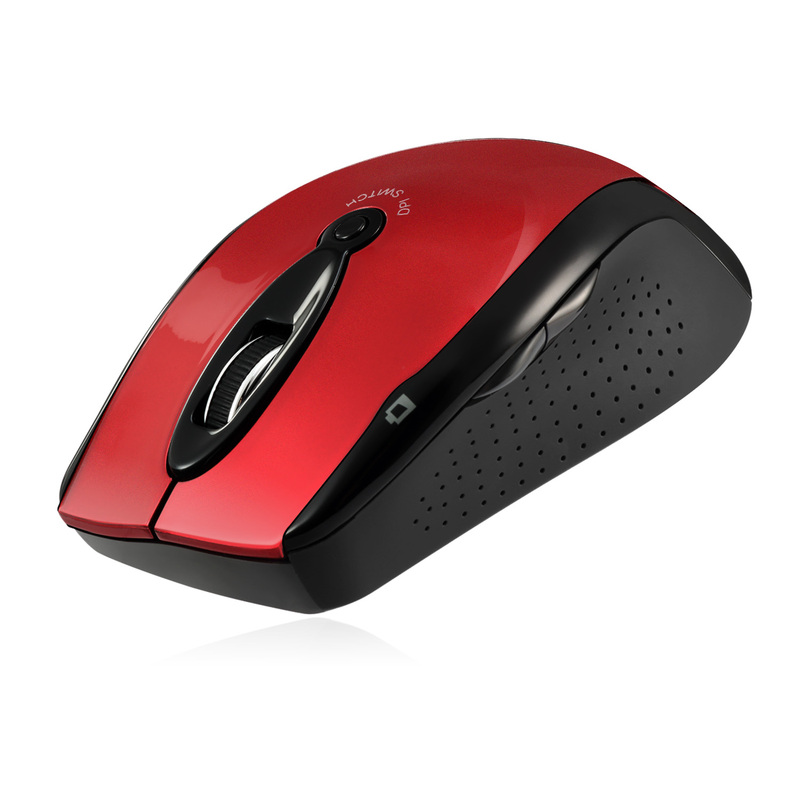 Easily switch between these DPI resolutions with the DPI Switch button located on the top of mouse. 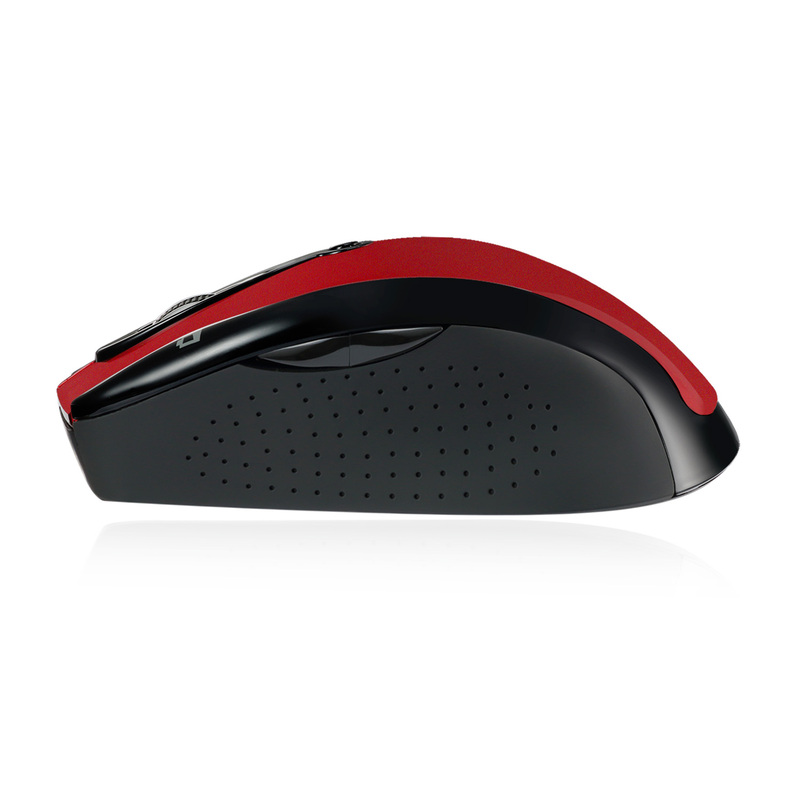 All these features, along with its ergonomic design, provide great control, response and comfort with minimal hand movement. 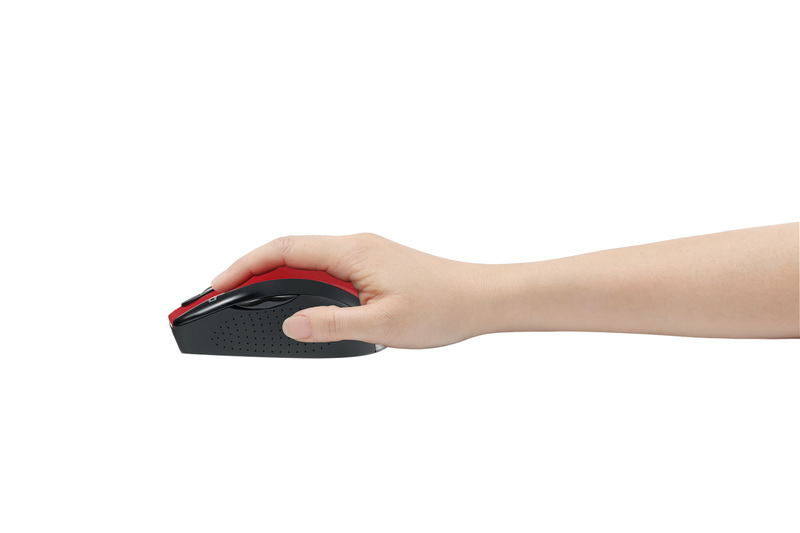 The iMouse M20R ergonomic design provides a comfortable grip and eliminates hand strain, while giving great cursor control.